New York Toy Fair 2019 Updates From Pop in a Box! 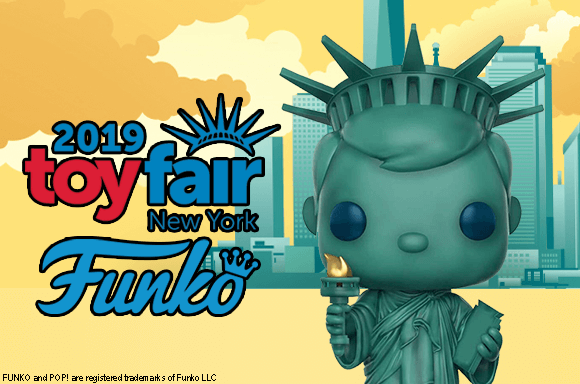 Toy Fair New York 2019 is February 16 through 19, but stay tuned for some Funko news from Pop in a Box on Friday the 15th! Click here for more TFNY2019 info! We’re definitely looking forward to the Toy Fair New York 2019 Funko reveals! Check back with us for updates as they are revealed!